Not even three full days after losing Scott Frost to Nebraska, UCF athletic director Danny White has already hired a new coach. Former Missouri offensive coordinator Josh Heupel is the 11th head coach in program history, the school announced on Tuesday. Heupel took over the Missouri offense in 2015. Before his arrival, the Tigers were No. 124 in total offense. This year, they are No. 7, while coming in at No. 10 in scoring offense (39.3 points per game). In addition to Heupel, former Florida assistant Randy Shannon is coming to Orlando as the defensive coordinator. Interim coach Troy Walters, former Texas A&M coach Kevin Sumlin, Toledo coach Jason Candle and Clemson offensive coordinator Tony Elliott were all rumored as candidates for the job, but Heupel ultimately got the nod. Heupel replaces Frost, who spent two seasons in Orlando and left with an 18-7 overall record, including a 12-0 mark this year. The hire presents a unique situation for UCF if Frost and his staff truly do return to prep and coach the bowl game, as the Knights would have three head coaches in Frost, interim coach Troy Walters and Heupel. No. 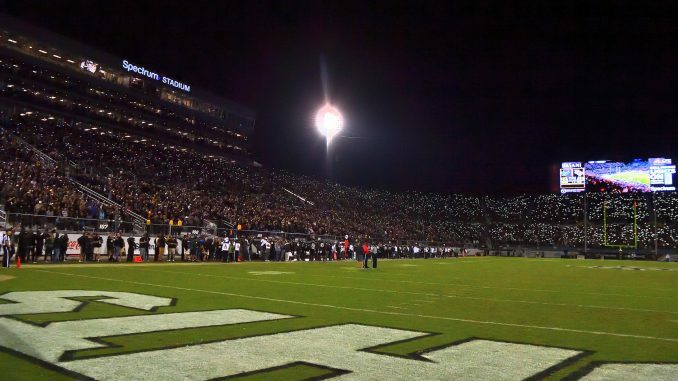 12 UCF (12-0, 8-0 AAC) faces No. 7 Auburn (10-3, 7-1 SEC) in the Chick-Fil-A Peach Bowl on New Year’s Day.